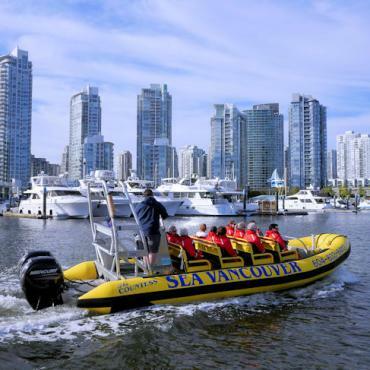 Beautiful Vancouver is the starting point for this two-week circular tour that showcases the national parks of the Canadian Rockies. 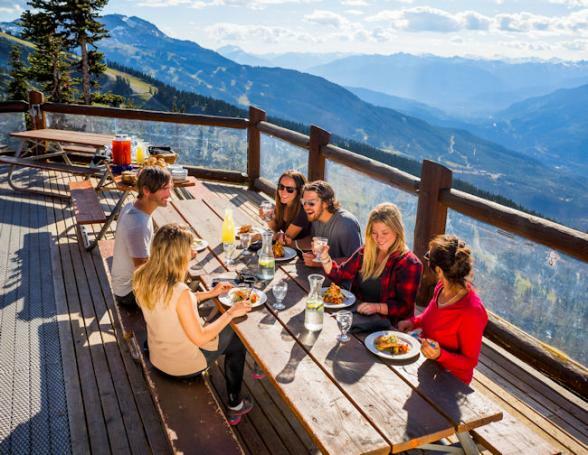 Eastbound from Vancouver, the itinerary ventures through the Okanagan Valley, Glacier National Park, Banff and Jasper National Parks, and of course, one of the world's most scenic drives, the Icefield Parkway. Continue west from Jasper through the Yellowhead Pass, Wells Gray Provincial Park and Garibaldi Provincial Park before returning to Vancouver. This cosmopolitan city sits right on the edge of nature, surrounded by snow-capped mountains and crammed with delightful green space. 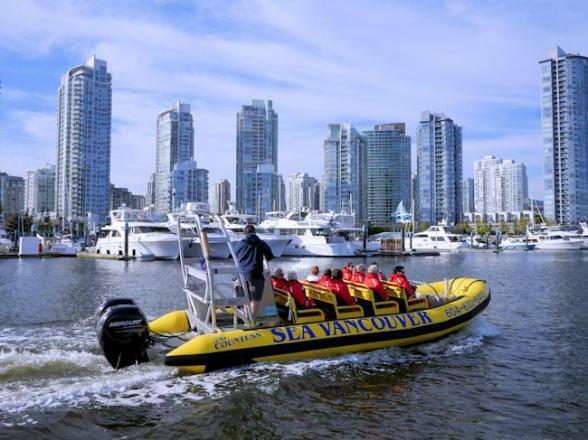 Choose to explore the city on foot or take a hop-on/hop-off bus which will include stops at Canada Place, Jack Pool Plaza and Stanley Park, which includes the famous Totems and Prospect Point, English Bay, Yaletown, Chinatown and historic Gastown. 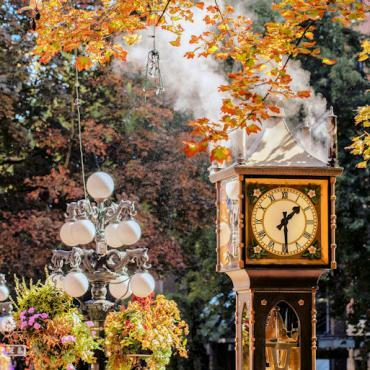 Only 15 minutes from downtown Vancouver you'll encounter the iconic Capilano Suspension Bridge Park. At 230 feet high and 450 feet long, the bridge has been thrilling visitors since 1889. 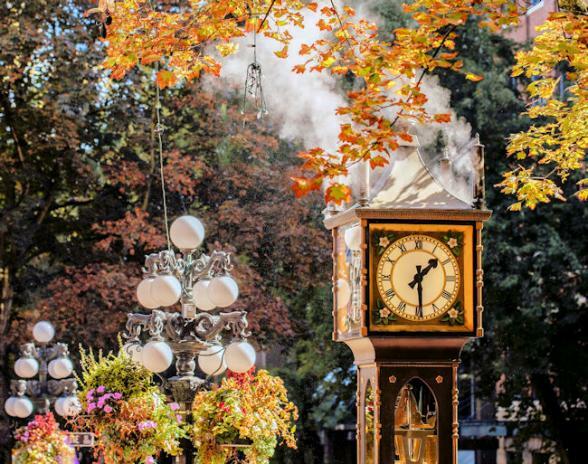 In the evening take a stroll around the lively Vancouver waterfront or head to Granville Island, a peninsular famed for entertainment, art galleries and its famous fresh food market. 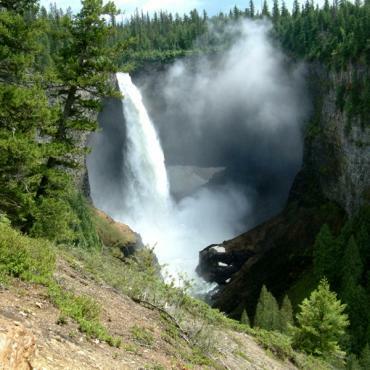 Travel through the Coastal Mountains and Manning Provincial Park. In the park, you can take a walk on the remnants of the Dewdney Trail or stroll amongst the Rhododendron Flats. 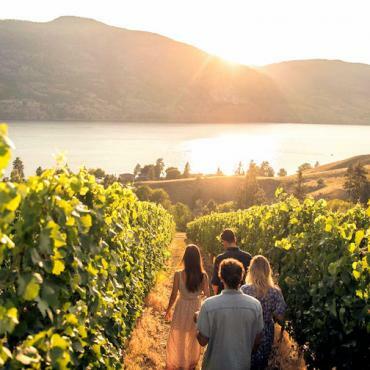 Penticton means 'a place to stay forever' and is nestled between two lakes in the fertile Okanagan Valley. 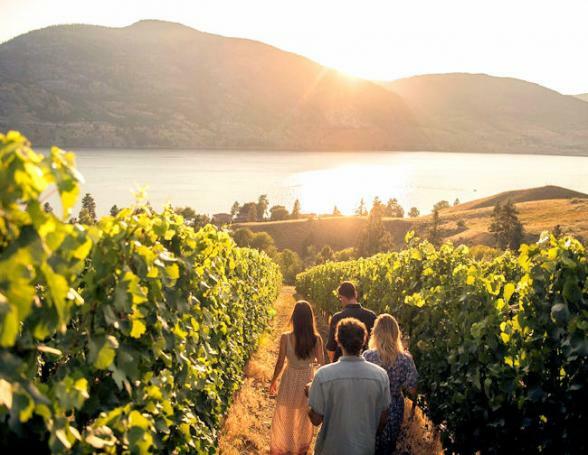 Spend your time here discovering one or more of the 60 wineries in the region, relaxing on a lake beach or biking the Kettle Valley Railway. 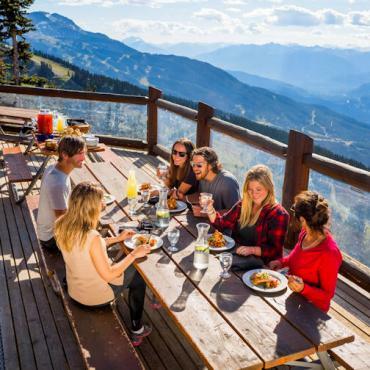 Enjoy the serenity of the sunny Thompson Okanagan region as you make your way to Revelstoke. Along the way stop for honey at Planet Honey Bee, or enjoy delicious apple at Davison Orchards in Vernon. Tiny Sicamous on pretty Shuswap Lake is worth a pit stop, as too is Salmon Arm. Here you'll find the longest inland wharf in Canada which offers a great view of the bird sanctuary. From Revelstoke you may wish to take a detour along the Meadows in the Sky Parkway Highway. This 34 mile, winding road starts in alpine forests end ends in meadows of wildflowers. It's wonderful scenery all the way today as you journey through Glacier National Park and one of British Columbia's magnificent mountain crossings, Rogers Pass, en route to Canada's oldest national park and the bustling resort town of Banff. 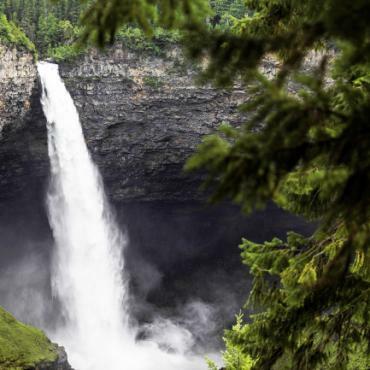 You've two days to explore Banff and the surrounding area. 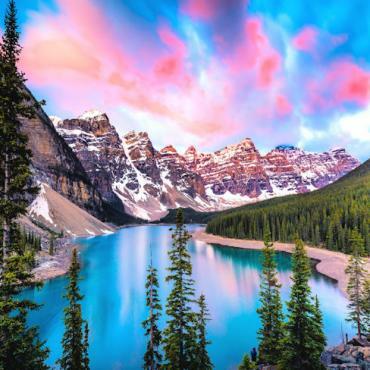 We suggest a visit to the gothic, castle-like Fairmont Banff Springs Hotel, Bow Falls or a ride the Sulphur Mountain Gondola for impressive views over the area. 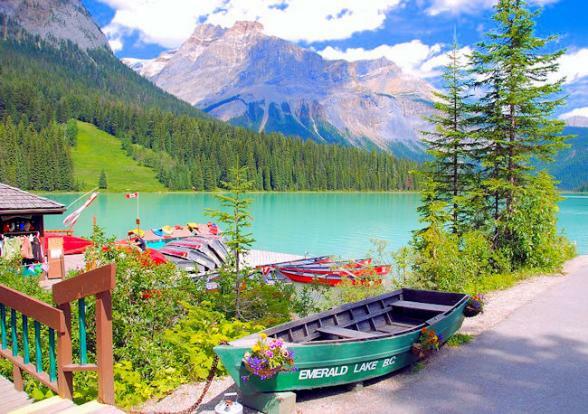 You may also try river rafting or a boat tour on pretty Lake Minnewanka. Nearby Lake Louise is also not to be missed, as one of the most photographed lakes in the world, it's important to arrive early in order to avoid the crowds! Today is all about the drive! The spectacular Icefields Parkway, one of the most scenic drives in the world deserves to be driven slowly as you want to immerse yourself in mother natures wonder. Gaze out at soaring rocky mountain peaks, ancient glaciers, cascading waterfalls and vast sweeping valleys. 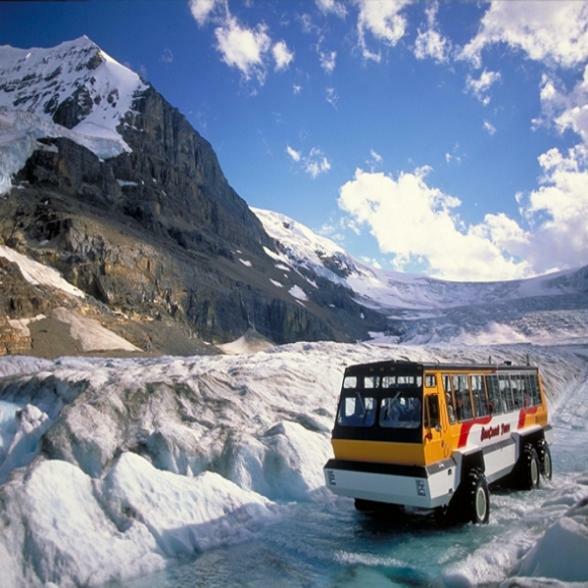 A must-do experience here is a trip in an Icefield Explorer buggy onto the Athabasca Glacier. Bon Voyage would be pleased to pre-book this for you. 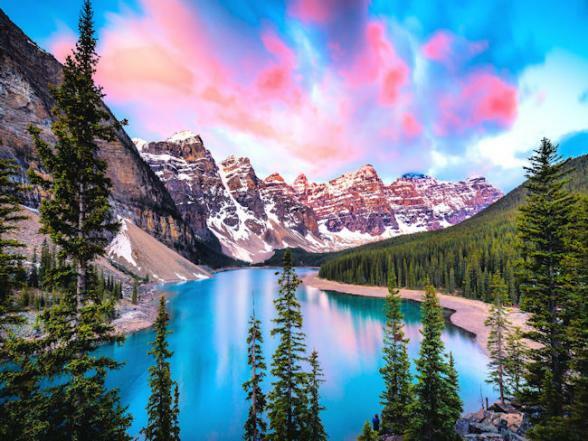 We'd also recommend a stroll along the shores of stunningly blue Peyto Lake. 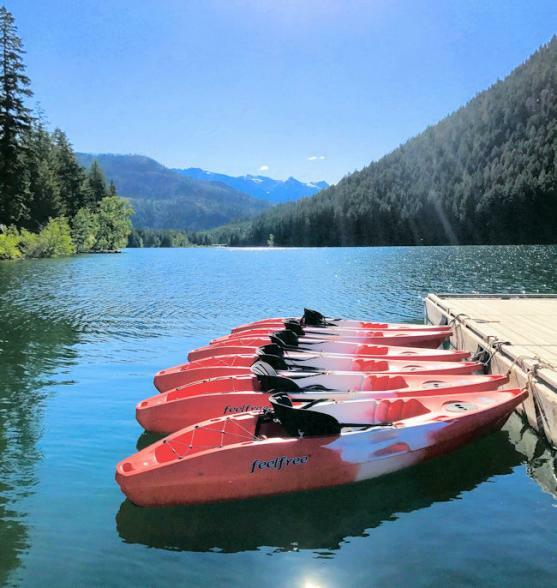 You have a full day to relax and tour Jasper and the surrounding area. 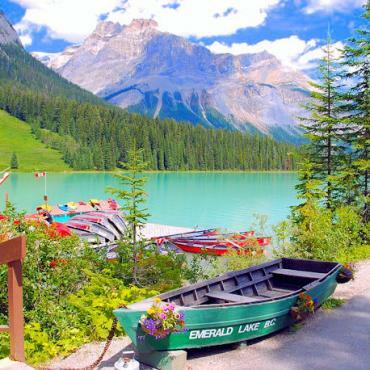 We suggest a boat cruise on Maligne Lake to tiny Spirit Island, one of the most photographed spot in Western Canada, a ride on the Jasper Tramway or a visit to soothing mineral baths at Miette Hot Springs. 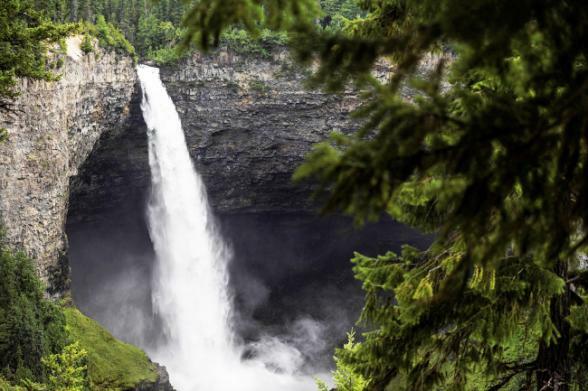 It's more wall-to-wall scenery today as you cruise along the scenic the Yellowhead Pass Highway, beside Mount Robson, the highest peak in the Rockies, and continue south along the Thompson River, skirting the perimeter of Wells Gray Provincial Park. 100 Mile House was founded during the days of the Cariboo Gold Rush, when a roadhouse was built here to service gold seekers heading to the goldfields. They travelled along the Cariboo Wagon Road, beginning in Lillooet and frequently stopped at the roadhouse that became known as 100 Mile House. The area is now known primarily for prime cattle ranching and leisure activities. Scenic drive south along the Cariboo Highway and Duffey Lake Road to the edge of Garibaldi Provincial Park and the pretty mountain resort village of Whistler. There's a plethora of activities on offer here from gentle hiking in the mountains to windsurfing on the lakes. 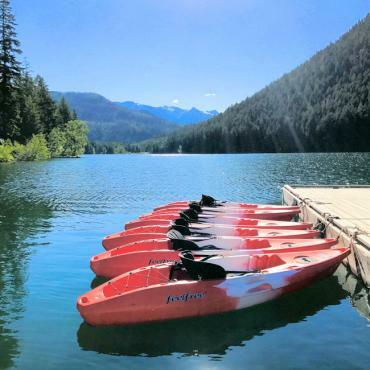 You may wish to escape to the peaceful surroundings of Whistler’s wetlands on a guided canoe trip where you can enjoy the breathtaking mountain scenery every bend. If bear watching appeals, you're in the right place. Whistler and Blackcombe Mountains are home to over 60 black bears and regular 4x4 excursions are available to go see them. A must-do in Whistler is a trip on the Peak to Peak Gondola which offers stunning views over the mountains. To find out more about the indigenous people of this region head to the award-winning Lil'wat Cultural Centre in Squamish where tours are available by the First Nations people. Today you'll travel the The Sea-to-Sky Highway, considered one of North America's most scenic drives. Along the way you'll discover dramatic vistas, deep fjords and towering mountains. Brandywine Falls is a perfect stop on this corridor as it's a short walk from the car park across a covered wooden bridge and train tracks before seeing Brandywine Falls in front of you. The falls drop from a height of about 70m so whilst it’s not the tallest waterfall you’ll even see, it’s still pretty to look at. Stop too at Shannon Falls, this is the third tallest waterfalls in the whole of British Columbia and is also on an easily accessible..
Take the whole day to enjoy this drive before your final night in Vancouver.